The Right to Information (RTI) Act, one of the most extensively used transparency legislation in the world was introduced to keep a check on the functioning of the government. According to news reports, around 4 to 6 million information applications are filed every year. 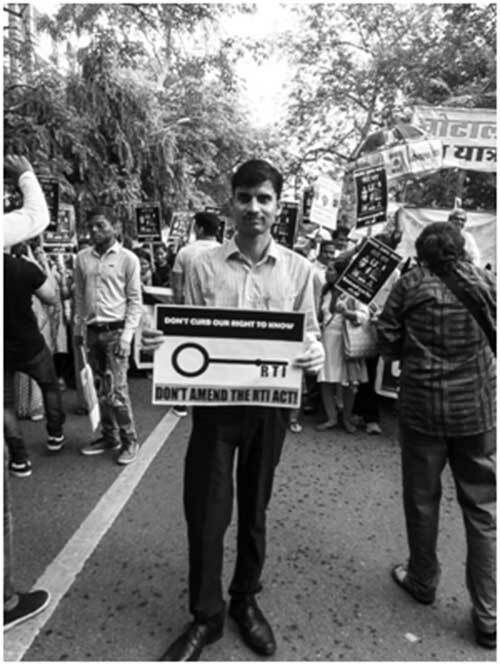 However, in the present scenario when the central government is mulling an amendment to the Act, a number of RTI activists and common people fear that the proposed amendments will only weaken the law. The bill seeks to empower the central government to decide the tenure and salaries of Information Commissions which will adversely impact the spirit of the Act. 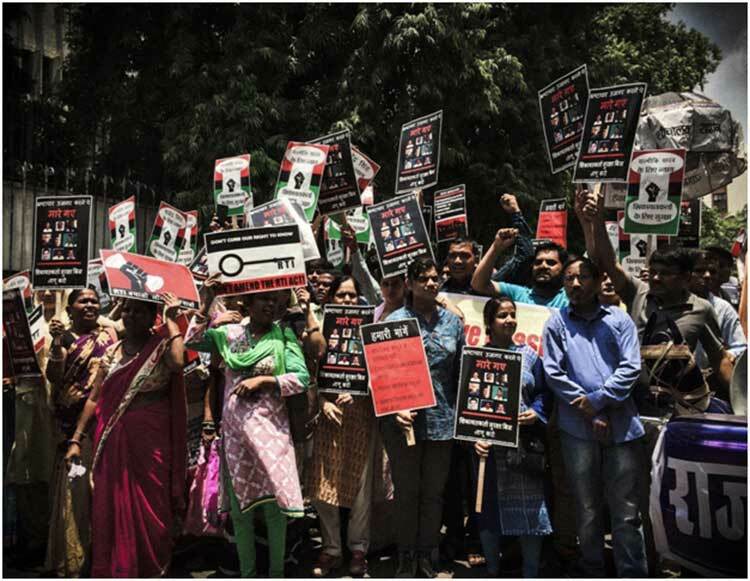 Murdering the RTI Act will not only affect the common people, but it will also cause a hindrance to battle corruption and hold government accountable. It might also deter the whistleblowers, who expose the dark side of the government. The Whistleblowers Protection Act was passed in 2014 but surprisingly hasn’t been implemented as of date. Talking about whistleblowers, according to a CHRI (Commonwealth Human Rights Initiative) report, at least 70 RTI users have allegedly been killed, 127 assaulted, 119 harassed or threatened and 5 driven to commit suicide as they sought information to expose corruption and wrong doing in governance. The major concern is that the amendment should not kill the essence of the RTI Act, but empower people as it is one of the most powerful weapons of democracy. 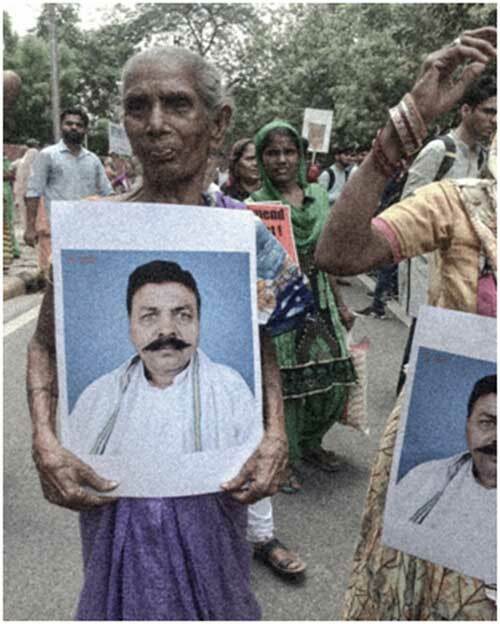 To oppose the government’s move, a public rally (Ghotala Rath Yatra) was on Wednesday (July 18) organised from Patel Chowk metro station to Constitutional Club, where people from all walks of life, including a number of opposition leaders joined in. Sumitra Devi, a 80 year old received her pension three years later with compensation after filing an RTI whose pension was stopped without giving any reason from the department. Ashish Chaturvedi, a whistleblower had unveiled the VYAPAM scam, has been attacked 16 times even after receiving police protection. 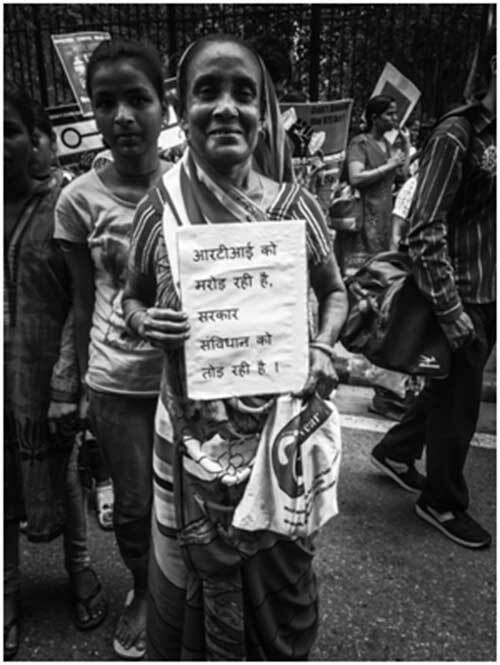 Shanno Devi, 50 years old unable to speak, lives in a JJ clusters attended the rally to fight for her rights. She has filed RTI’s several times.